Milford’s Amanda Reinhart received recognition this season from the Greater Cincinnati Tennis Coaches’ Association. The junior from Milford High School was named first team singles for Division I following the Fall GCTCA Tournament. The Milford Wrestling Program will hold a parent’s meeting on Tuesday, November 8th at 7:00 pm. The meeting will be held in the MHS Auditorium. 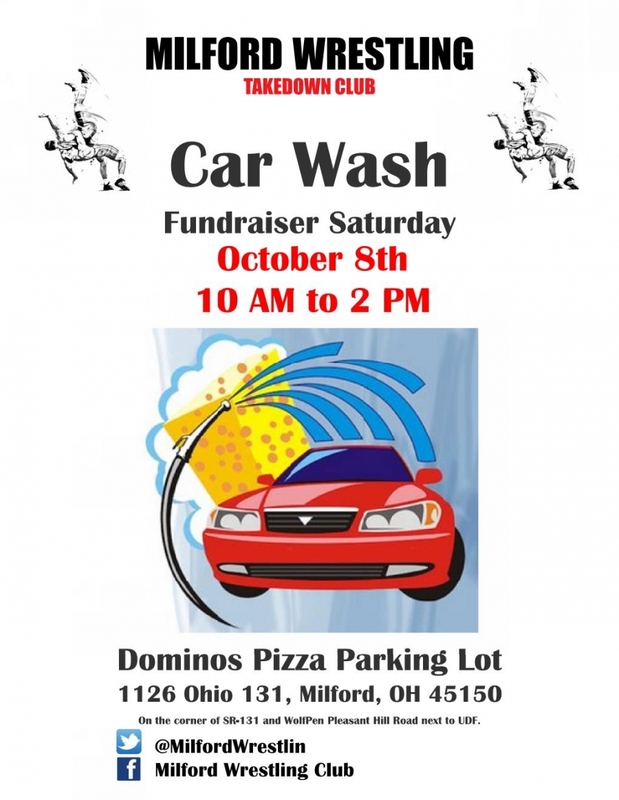 The Milford wrestling team is holding a car wash THIS SATURDAY, October 8th at Domino’s Pizza on State Route 131 next to UDF. Stop by between 10:00 am and 2:00 pm to have your car washed and support student-athletes in the wrestling program! Boys lacrosse head coach Jason Susshine will hold an informational meeting on Monday, Oct. 3 from 7-9 p.m. in the cafeteria. Any interested students are welcome to attend.